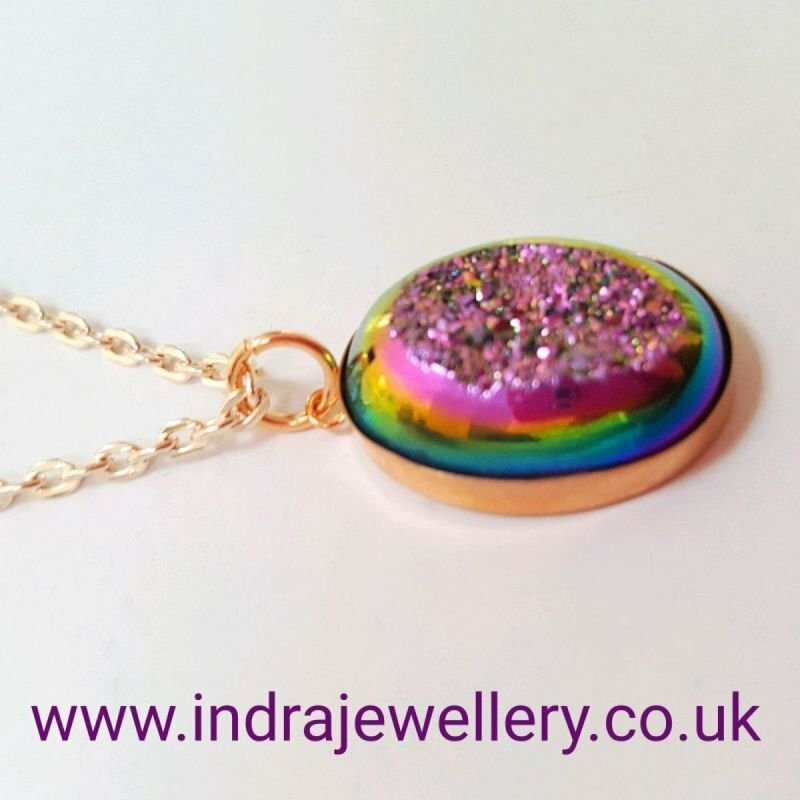 This is a stunning, super sparkly oval rainbow druzy pendant necklace which has been set in a sterling silver setting which is rose gold plated. Natural and beautiful, this necklace will go with anything! The pendant measures approximately 2cm x 1.5cm and is attached to an 16" rose gold toned chain. I have added a penny in the second photo to give an idea of size. Druzy Crystal will boost your imagination and creativity and induce relaxation. This crystal will also help with your emotional problems and is believed to avoid depression or unnatural feelings of fear or dread.